A few months ago I slowly dipped my toes into the world of TTMing. I sent out two cards both to non-athletes. This was my way of seeing if I wanted to do more of it. Today I received my first success and now I look forward to sending out more requests. 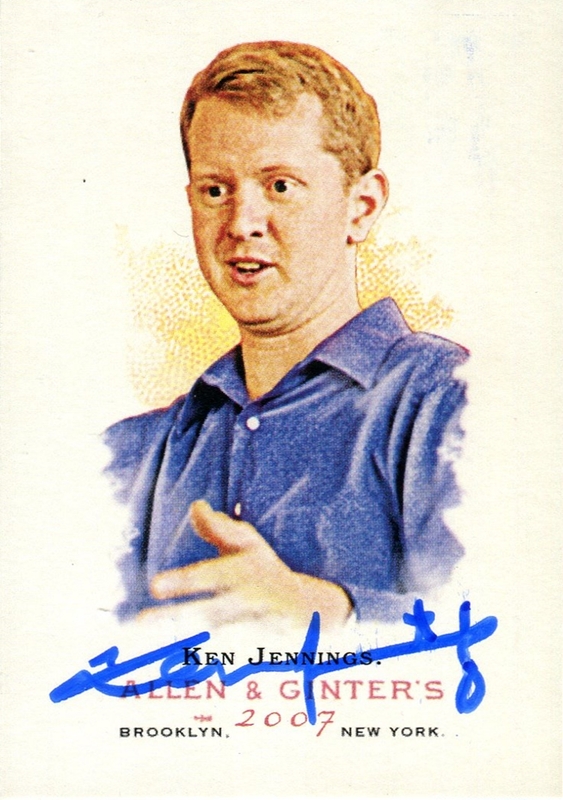 It's Ken Jennings! Notable Jeopardy champion and local celebrity. According to the back of the card, he won over $2.5 million during his unprecedented run. He was also later beaten by a robot but that was not really his fault. The blue looks great on the Allen and Ginter card. 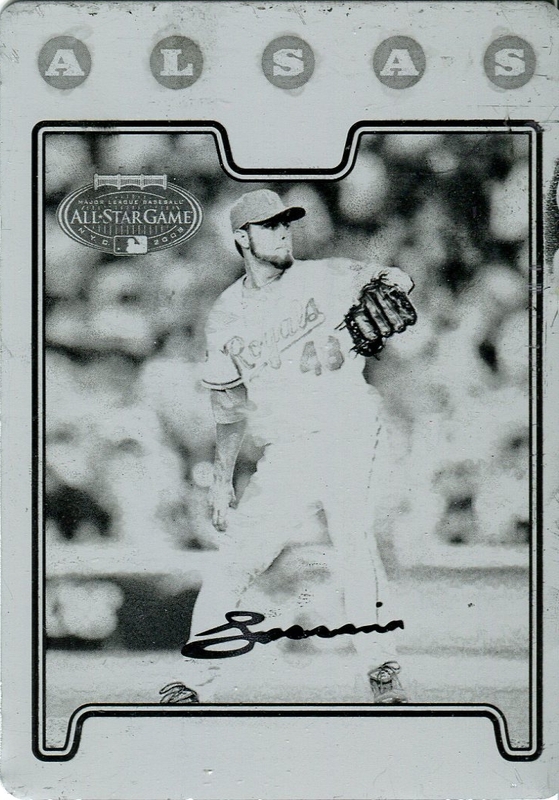 The autograph is slightly smudged as it was likely put into a penny sleeve right after being signed. I think I included the sleeve so that one is on me. Can't expect them to wait for the pen to dry. Next time I won't included any sleeves. 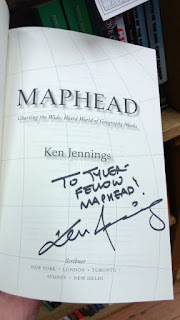 This was not my first time obtaining Mr. Jennings' autograph. 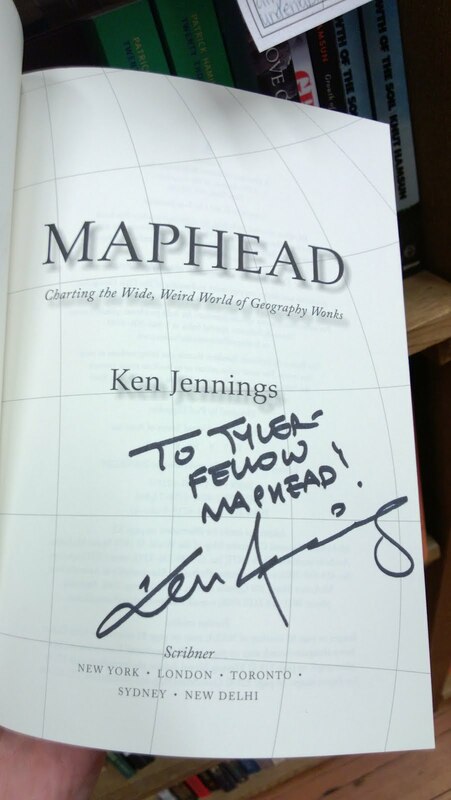 I attended a book reading of his about 5 years where I had him sign a copy of Maphead. I am indeed a maphead. I could seriously spend hours reading maps. It takes some work to send out TTM requests but the payoff is worth it. I'll try to get some requests out for Spring Training and hope for the best! One of my goals for 2018 has been to finish off more sets on my backlog. This set was not specifically targeted in my initial resolutions goal but I saw a complete set at a good price. 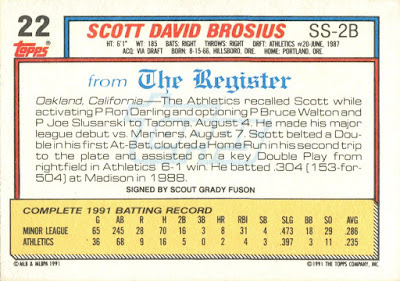 If I were to rank my favorite Topps sets since the mid-80s (when I was born), the 1992 design is my favorite right behind 2008. The design is clean and crisp that pops off the card. The color matching looks sharp, too. I'm working on collecting the sets for all four major sports plus any applicable gold and micro parallels. 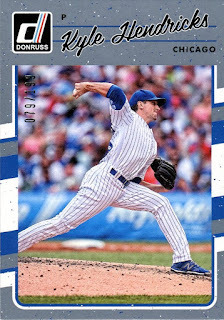 So far I only have Topps Traded and now 91 Major League Debut. 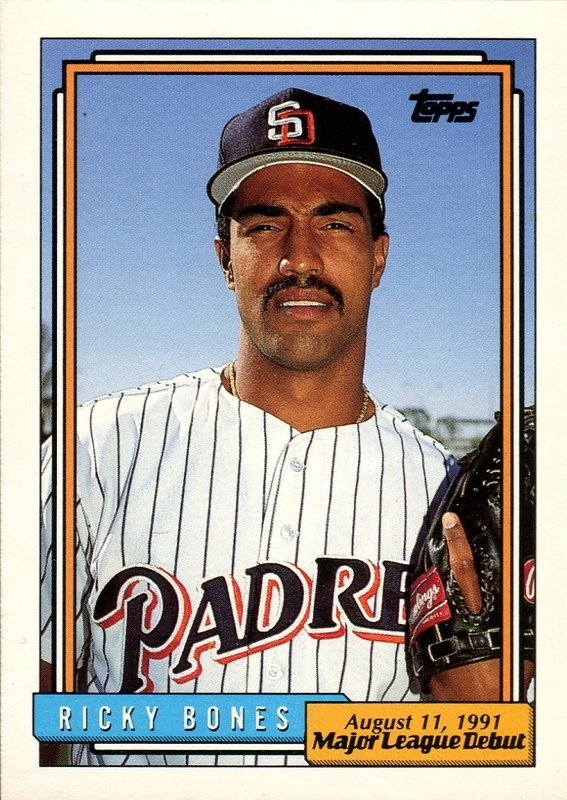 Ricky Bones, what a name! 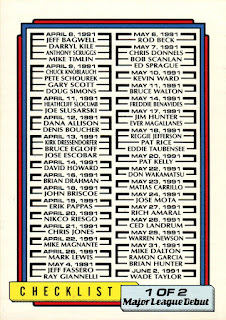 Set on the 1992 design, this set features 192 player who made their debut in 1991. This is the third and final series of major league debut sets. In place of the team name is the date of the player's debut. It's a design element that works well. The photos are mostly from what I'm assuming are the Spring Training photo shoots. I like it because these photos feel more personal than a standard batting or fielding shot. Two Hall of Famers made their debut in 1991. Funny enough, Bagwell and Rodriguez made their debuts in the same year and were elected into the Hall of Fame in the same year. 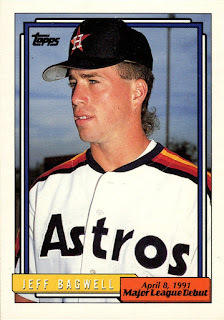 The card backs show a lot of effort on Topps' part, something we don't see to much of these days. The write-up details their transaction to the majors, the result of their debut, and some minor league information. It even includes who scouted the player, which I've never seen. Very informative. 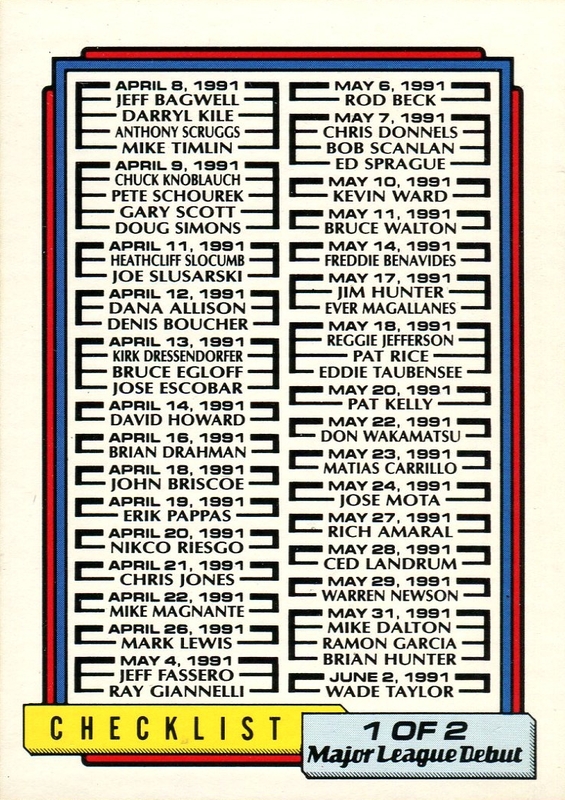 Topps gets creative with the checklist for this set listing the players in chronological order. 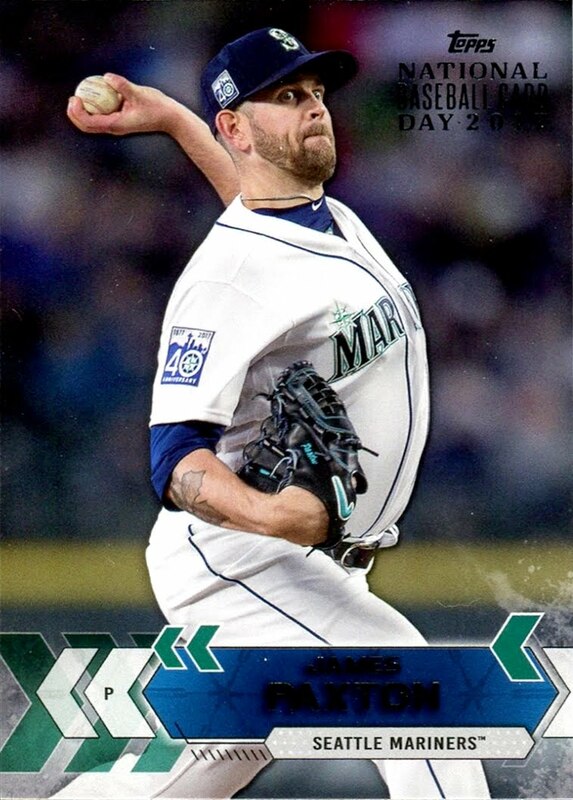 Excellent choice by Topps. 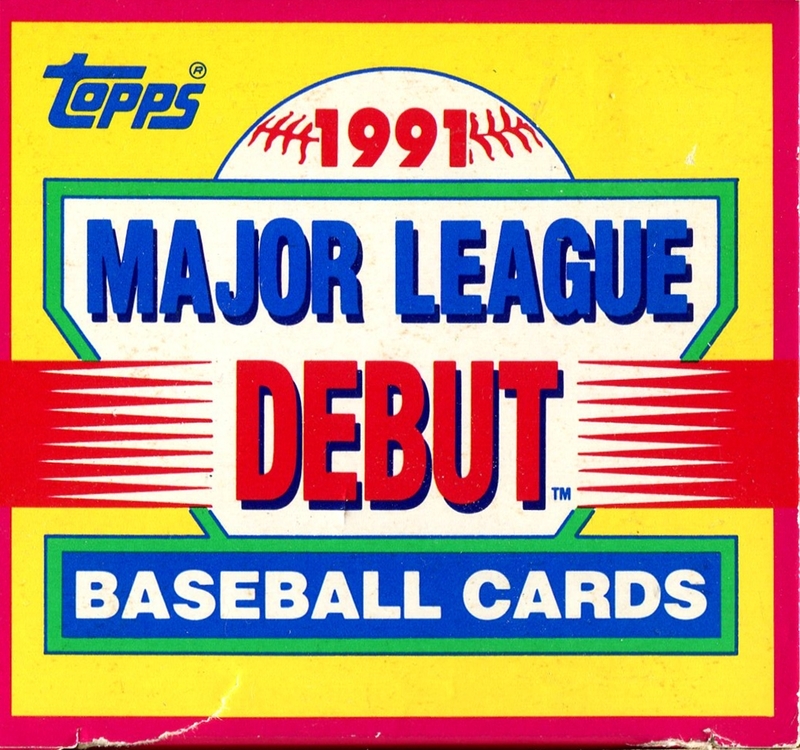 If this set did not feature the 1992 Topps design, I likely would not have bothered with it. That said, this is not just a throwaway set. 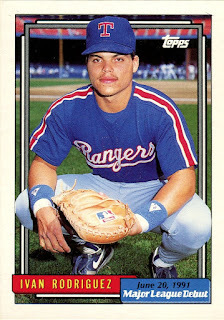 For any 1992 Topps collectors this set is a must have. I still have a lot of 92 sets left to go but it's nice to get this likely lesser known set out of the way. Whichever company invented the booklet card gets a pat on the back from me. The cards allow for some unique looks. I've seen booklet cards before but never opened any product where I could reasonably pull a booklet card. I have wanted a booklet card for a while so it was time to search on eBay. There are a lot of nice booklet cards from high end products like National Treasures, which were out of my price range for the moment. Thankfully this Kelly Olynyk booklet was priced right at $4.99. It's likely from his rookie photo shoot meaning the material is player worn. I love the photo selection with the full color photo set next to the silhouette images. Two decent sized jersey swatches on the end gives the card nice book ends. The only downside to booklet cards is that leaving them in a plastic snap case does not do the card justice. I plan to buy a booklet card holder to give it the light of day. I look forward to picking up another booklet in the future! New Year's resolutions typically are not my style. I never have much passion to stick with them so I forget about them by February. Perhaps committing them to a blog post will provide accountability. I'll perform a 6 month check-up to see how I'm doing. I know this doesn't seem like a lot. For me though, it represents a significant time commitment. With a baby, my free time is all but non-existent and only when he is asleep. After taking care of myself and the house, I'm left with about an hour to balance my various interests such as cards, video games, music, and watching TV with the wife. So yeah, two posts a month can be a challenge. I think I'll also focus on writing smaller posts to help meet my goal. This post will mark my second post in January so I'm doing great so far! With 2008 Topps being my favorite set, I was planning to collect as many plates as I could. Then after seeing eBay alerts every day I started to get board of plates. I changed my strategy to collect one printing plate of each color from all of the Topps sets released in 2008 using the main design. Slightly limiting this goal is the fact that I don't like to spend more than about $10 on a plate. If I get close to my goal by the end of the year I might splurge a little to finish it off. I currently have 16 plates. 2008 Topps Football is the only complete plate set. If I pick up two plates per month I will be on track to complete my goal. 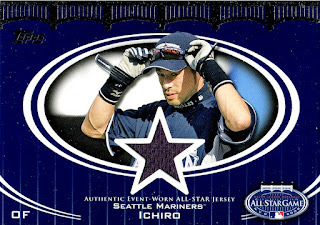 One new project I started last year was collecting Mariners ASG relics. 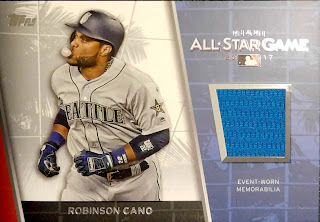 Since 2005, Topps has included event-worn ASG jersey relics for most all participants. The Mariners have been included in every year. 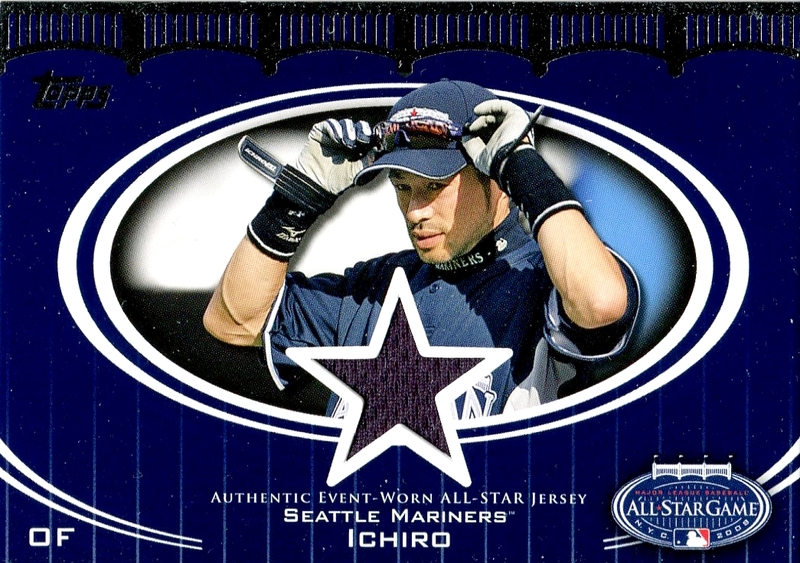 The Ichiro ones have been the most expensive, $15-$20, but everything else has been reasonable. I haven't gone through my latest COMC order so I can't say for sure how many I am missing. It is not many. I'm only aiming for the standard jersey swatch pieces and nine of the jumbo or dual relics. Except for Michael Pineda who only appeared on a dual relic short printed to 25. I will have a tough time finding that one especially since it was released in 2011 Update. My focus will be 2008 Topps Update and 2017 Bowman. Here's a chance for some low hanging fruit as both set needs are under 25 cards each. I'll try a couple trades on The Trading Card Database to finish out the sets if possible. Otherwise, I'll be taking a trip to Sportlots. Completing 2008 Update should be easy as I already have the Kershaw rookie. I pulled this in the same box as the Ichiro relic, above. Ever since Gavin loaded me up with a medium flat rate of cards for winning one of his contests, I've struggled to catalog them all. Mainly it is because I'm short on some organizing supplies. It is more efficient to catalog and organize at the same time rather than do it at two separate times. I need to buy more tall card dividers to get back on track. I used to use cut in half note cards but they proved to be too flimsy for my liking. I think my blog design is rather plain looking so I'd love to update it. It might take a lot of work, thus the wildcard. I don't have any expectations of finsihing this. It will be a nice surprise if I do. This card is unrelated to my resolutions but it was the first new card for me in 2018. 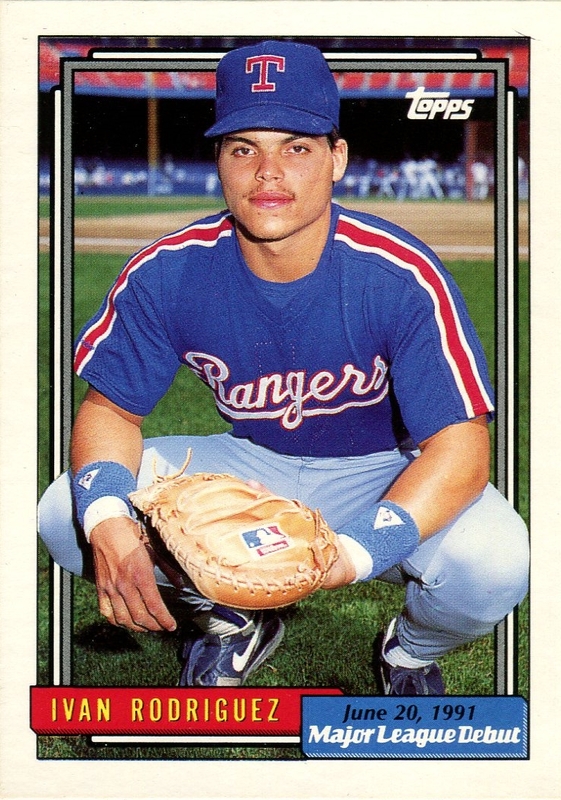 Only $0.99 for a rookie card numbered out of 99. That deserves a documentation. 2017 was the the lowest of lows to the highest of highs. From my father passing away at the beginning of the year to my son being born almost exactly 9 months later. Cards have been a big help in finding a way to escape and relax when needed. Card-wise, 2017 was an interesting year. I purchased more new basketball hobby boxes (1) than I did baseball (0). I also bought more old hobby boxes than I did new. However, most of my favorite cards were singles I purchased. Opening packs can be fun (and that's why I still buy retail packs often) but it's nice getting cards I actually want. I'm finding that more often than not, boxes are a disappointment. Since singles were a main focus of my collection this past year, here are 5 of my favorite cards from 2017. 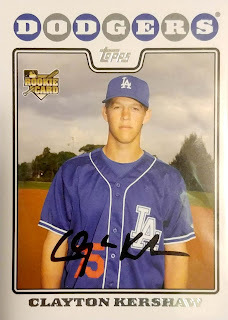 Topps Now cards tend to get into a rut whether it be blasé photos or subject matters. This card features one of the most interesting photos I've seen and captured a crucial moment in the World Baseball Classic. 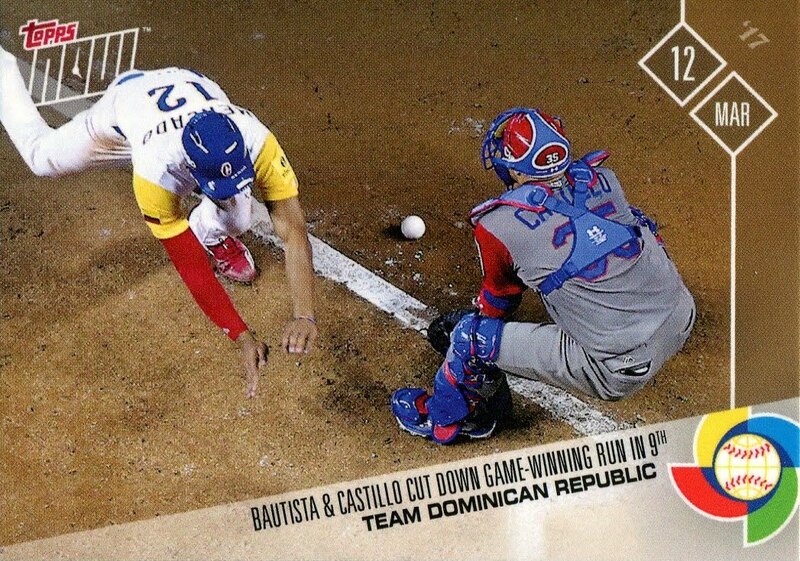 Sadly, once the regular season hit Topps fell back into the rut of walkoff this, walkoff that. 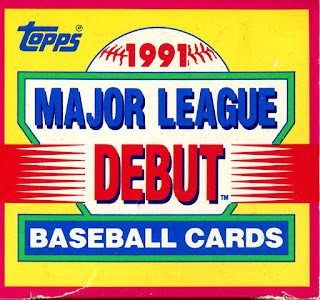 I don't think they can track all 30 teams while coming up with exciting Topps Now cards all the time. They did try better in 2017 and I hope they can do even better in 2018. 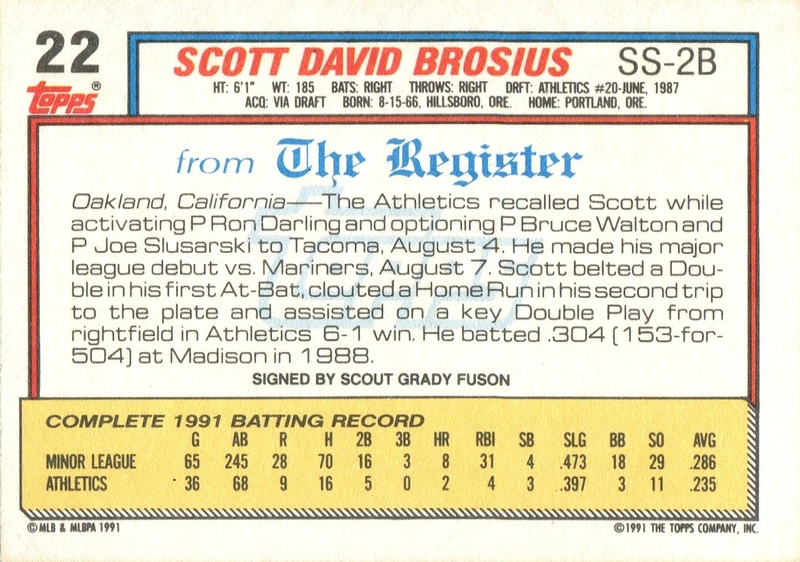 I liked the simplicity of base Donruss but the borders were a bland white. I don't know why Panini didn't copy what it did for football, which was make the borders color coded. The gray border parallel set looks better than the base. I briefly considered putting together the parallel set until I came to my senses. This card is from the stadium giveaway for National Baseball Card Day. This set actually features photos from the 2017 season as evident by the 40th Anniversary patch on Paxton's arm. The 40th Anniversary patch didn't get much cardboard love this year thanks to Seattle's sparse appearance in Topps Now. The stadium giveaway cards are tough to find so I'm glad I found a set on eBay when I did. I have not watched the new Spider Man nor do I plan on watching it. 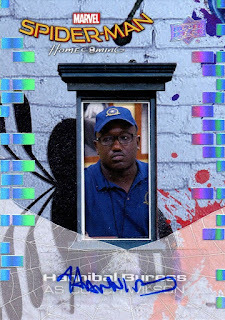 Hannibal Buress is one of my favorite comedians, which is the only reason I have this card. He's hilarious on Broad City and his stand-up is great, too. I never thought I would see him on a card, let alone his autograph. A definite score for me. Klay Thompson is one of the best players to come out of WSU. 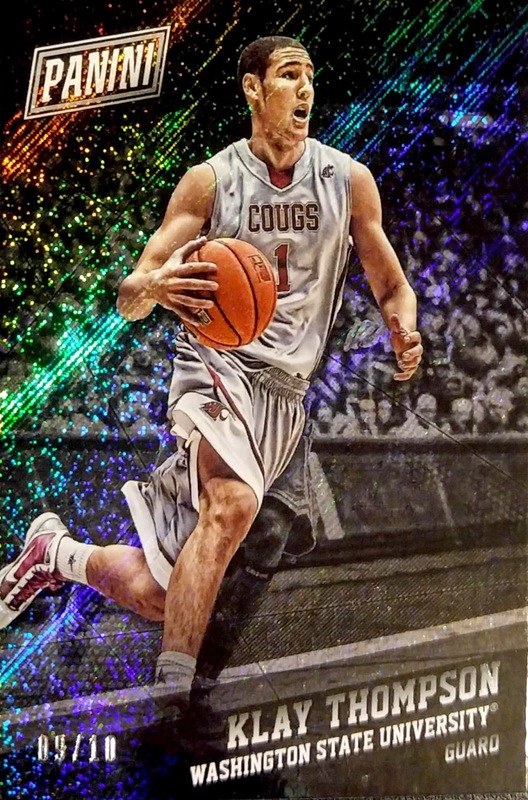 It's not too often WSU gets cardboard love so I tend to jump on those cards when I can. I'm missing two cards from this mini-rainbow. 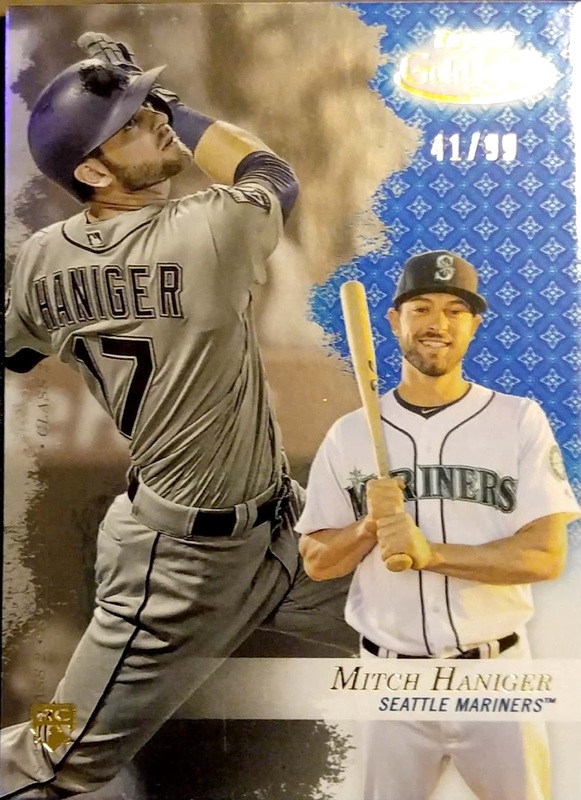 The 1/1 card, which I will probably never get and the base card, which I have never seen. I find it curious I've seen multiple parallels of this card on eBay but never the base. An unsolved mystery for sure. There are plenty more cards from 2017 that I loved but I simply do not have the time to show them. Happy New Year to everyone in the blogosphere!